This 45-slide PDF presentation details eight ways to engage your employees and tenants in saving energy. It also includes plenty of examples from successful ENERGY STAR partners! Customize this email invitation for a traditional office setting to invite everyone to a "lunch and learn" on the basics about saving energy. Use this ready-made PowerPoint presentation and speaker notes to deliver a fun, interactive 60-minute training session for employees and co-workers. Topics include the importance of energy efficiency and how everyone can find small ways to save energy at work. Use this poster to promote energy efficiency in your workplace by printing or displaying it in your office or distributing it to your coworkers. The poster contains a few easy tips you can use to save energy at work. This poster is a part of EPA's ENERGY STAR Bring Your Green to Work campaign, which offers tools and interactive resources that can help you and your coworkers plan to reduce energy use in the office. This is a customizable flyer that you can use to promote your upcoming employee education event. This flyer is part of EPA's "Bring Your Green to Work with ENERGY STAR" suite of tools. 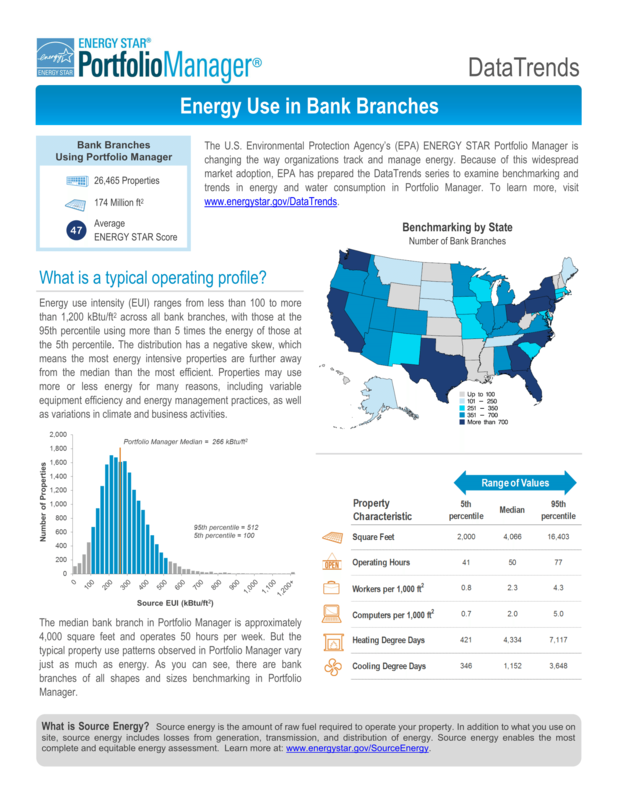 This 2-page factsheet summarizes the energy, operational, and property characteristics of banks benchmarking in Portfolio Manager. Other statistics are also presented in an easy-to-read format. 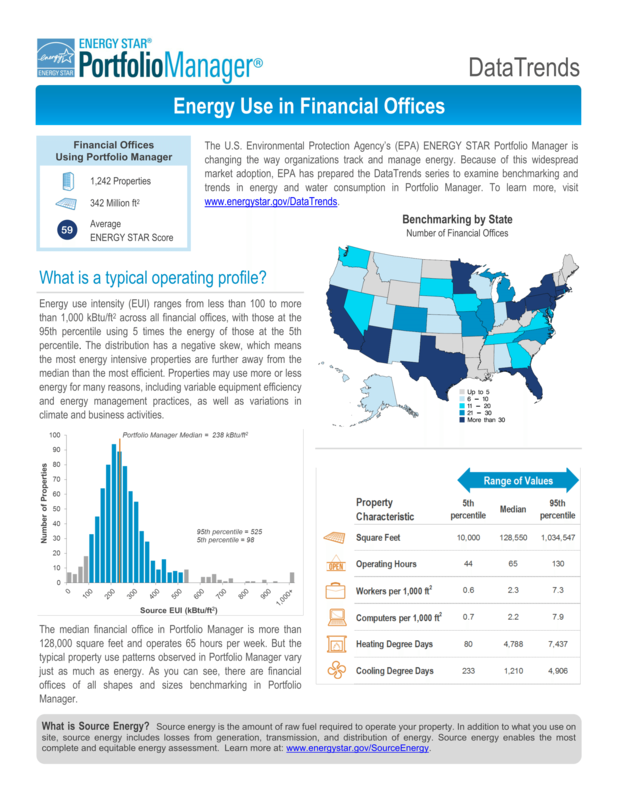 This 2-page factsheet summarizes the energy, operational, and property characteristics of financial offices benchmarking in Portfolio Manager. Other statistics are also presented in an easy-to-read format.